Glycine max 110 days Shinonome is a Japanese Heirloom soybean that is ideal for making any number of soy foods like tofu and soy milk, as well as fermented products like tempeh, miso, and soy sauce. The large bushy plants grow to 3 foot tall and are very productive. Shinonome can yield up to 20 lbs. of threshed beans per 100′ of row. Needs warm days and cool nights for best production. I plant my seed after the chance for frost is past in mid to late May. Plant seed 1″ deep and 6 ” apart in rows. Harvest when plants yellow and drop leaves, around the end of September. A good judge is when the pods are yellowish brown and a bit crunchy or brittle. If you wait too long the pods will split and “shatter”, spilling the beans onto the ground. I cut the plants at ground level and bring them into a shed for further drying on benches. You do not have to hang them but be aware of the potential for rodent damage. I always set mouse traps wherever I have grain or legumes drying. 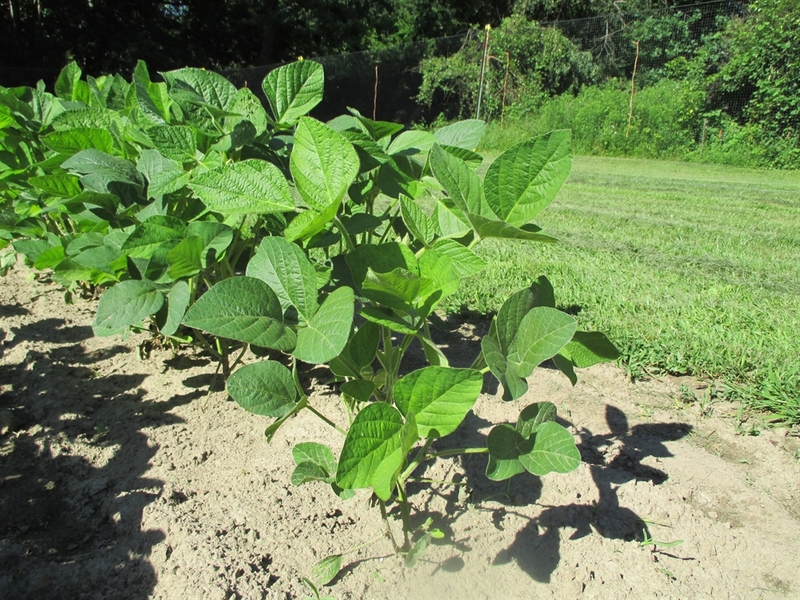 It is important to leave the roots in the ground, as soybeans, like all legumes are nitrogen fixing. The plant pulls nitrogen from the air and stores it in tiny nodules on the roots. Leaving these roots to decompose in the ground will help to maintain your soils fertility for the next seasons crops. Legumes should be in a rotation, and note they are heavy givers, as opposed to heavy feeders like corn, tomatoes, and root crops. Threshing Shinonome soybeans is easy. Once the plants have dried out for a few weeks, place 4-5 plants into a pillowcase and do a little rhythmic dance on them. Crush with your feet, flip the pillow case over, and dance a bit more. You can also thresh by beating with a flail, but I have found this can damage the beans and cause a lot of splits. This is ok for eating purposes, but not for saving viable seed. 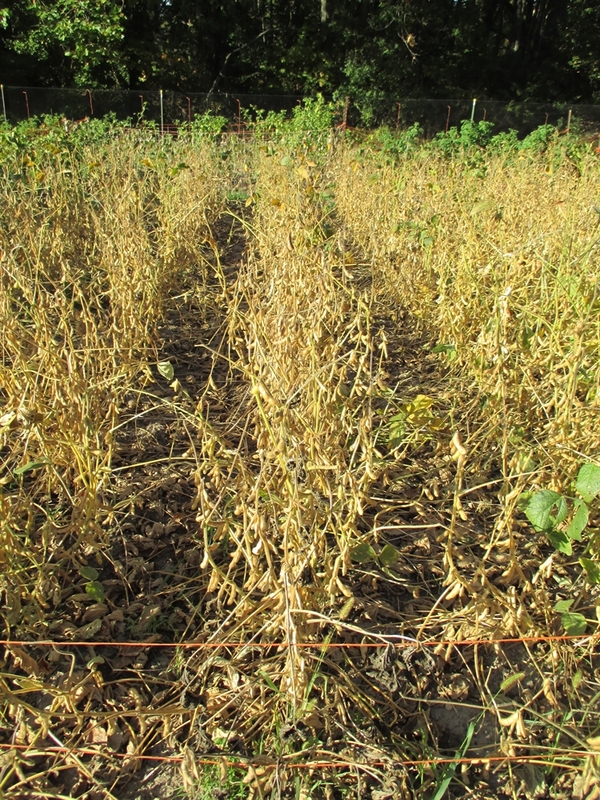 Soybeans are high in oil content and may require a few more weeks of drying indoors before storage. Keep in mind, soybeans are very nutritious. High in protein, up to 50% for some varieties. 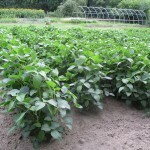 Seed Saving: Isolate from other soybean varieties by 25′ for home use, 100′ for pure seed. how much is a lb or 1/2 lb and shipping cost please ? I do not sell in bulk amounts. I offer 100 seed packets for $3.00. how much is 1 lb or 1/2 lb and shipping to OHIO ? my original source for seed. They can offer Shinonome in larger quantities. 1. I live in Zone 5A. Do you think these would reliably mature for me in the field? How sensitive are they to cold / light frost? 2. How important is even/consistent water? 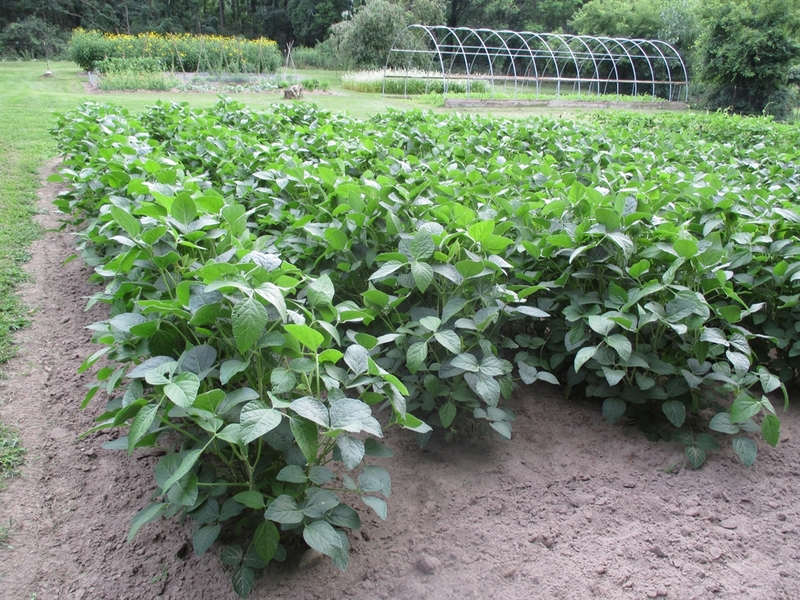 We get a lot of rain over the course of the season, but there are drier times when we use drip irrigation. I’m considering planting these in a space which wouldn’t have any drip irrigation though, and would only get rainfall. 3. These seem to get pretty tall, do you think they could be interplanted with corn, or would they overwhelm the corn plants? Thanks for any advice! Hoping to order these from you. I would believe you should have no problem growing these in a zone 5a. They are fairly late at 110 days. 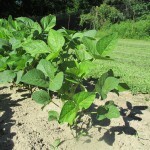 My experience is that soybeans are sensitive to frost and also should be planted when the soil is warm in the spring. I usually plant at the end of May. 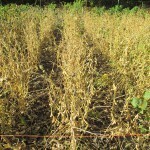 Soybeans do benefit from cool evenings and warm days. 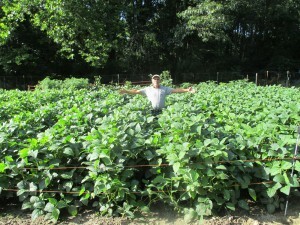 Regarding water, I have irrigated my soybeans in the past during dry spells. I am not sure I would call soybeans drought tolerant. They need moisture during flowering and pod formation. The amount of water is not as critical as the constancy of moisture. Shinonome get fairly tall but I doubt they would smother a corn plant. It might be the other way around if the corn is planted dense. Possibly alternating rows would work best, although you do not want to hinder the corns pollination.